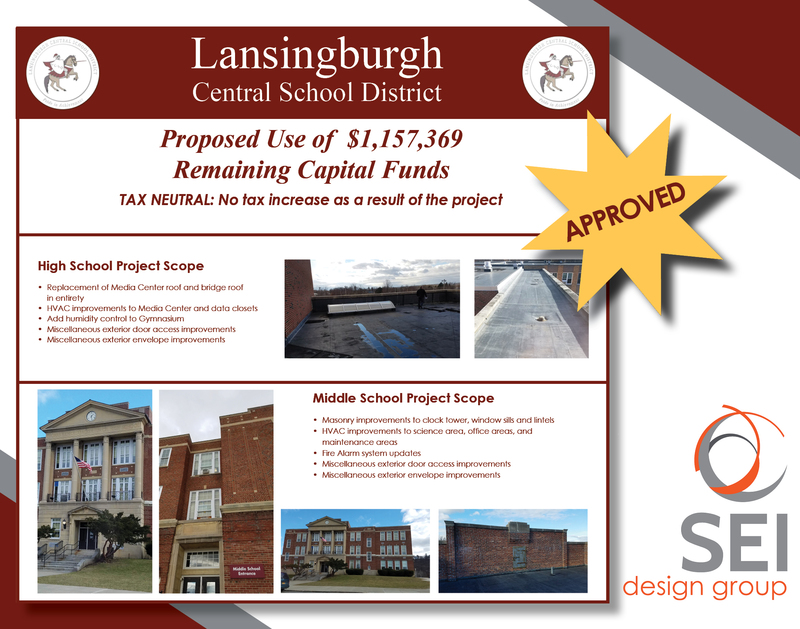 Congratulations to Lansingburgh CSD! This past Tuesday, District voters overwhelmingly approved a $1.2 Million Capital Improvement Project! The scope of work includes roof replacement at the High School and masonry improvements to clock tower at the Middle School. Both schools will receive upgrades to the exterior envelope and exterior door access, and a secure entryway vestibule will be completed at the Rensselaer Park Elementary School.